Super power glass solar panel is rated 5.5V @ 1.3Amps. 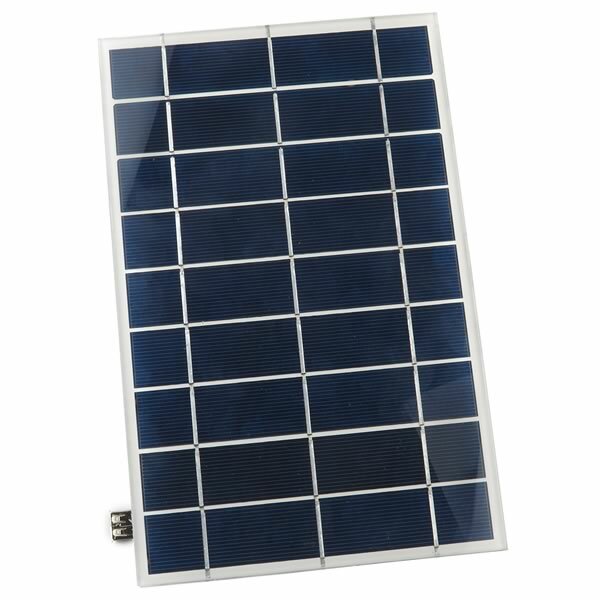 This panel uses silicon solar cells that are sealed inside the panel and has its output leads connected to a standard female USB. This panel was made for a product that could charge any smart phone within just a few hours. It can also charge iPads®, and other larger battery powered 5V devices. Size of panel is 6-5/8" x 10-1/4" x 0.18" thick. These are new, tested and were prepped by the factory to be completed into a plastic outer shell solar charging module, however this last step in the assembly wasn't completed. Great for charging almost all cell phones (just use your cell phone cable), recharging larger batteries, larger solar lights, electronic projects, etc. New!